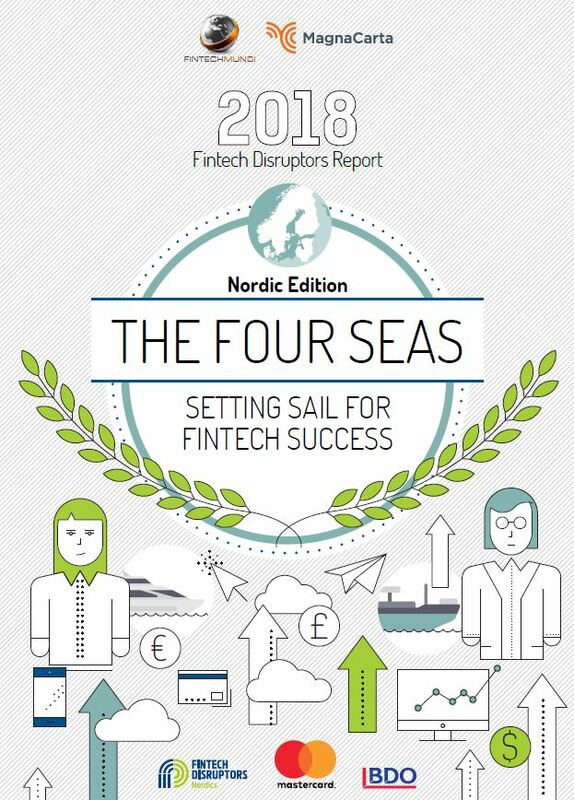 The latest ‘Nordic Fintech Disruptors Report 2018’ and wide-ranging survey on financial institutions, fintech start-ups and ecosystem participants across the Nordic and Baltic region reveals that greater cooperation between regulators, banks and innovators is essential to the region’s status as a leading fintech hub. According to the survey conducted by MagnaCarta and Fintech Mundi on behalf of Mastercard, more than four fifths (84%) of traditional players are now actively seeking partnerships with fintechs to help them digitise and create digital services for customers. They believe that collaborating with fintechs will help them to achieve their goals faster and more cost effectively. While the Nordic and Baltic region accounts for over half of Europe’s fintech unicorns by value, the research shows the biggest challenges for fintechs are the direct or indirect result of limited regulatory coordination on fintech. 37% of respondents cited regulation directly, 67% find it difficult to achieve scale, and 33% find access to funding remains a challenge. Increased competition from incumbents jumped 19 percent from 2017. The Mastercard 2018 Fintech Disruptors Nordic Report finds that a holistic approach to cooperation across the region – including incentives for investment and working together to create a regulatory environment that stimulates innovation and promotes collaboration between new and established providers would strengthen the region’s status as a global digital fintech hub. “Innovation by collaboration is at the heart of Mastercard and working together with start-ups and fintechs is essential to meet the future needs of consumers, merchants and governments. We have been committed to fintechs for many years, fostering partnerships with pioneers who have grown into global brands. One Nordic example is iZettle where we helped them in the early phase setting up their business, acting as an advisor. “The Nordic and Baltic markets already have an incredible track record of building fintech companies having created regional successes that have gone on to become global winners, like Spotify and Zwipe. 38% of Nordic banks believe revenues are at risk of disruption – 12 points up from 2017, 7% higher than among European banks. Payments – the primary investment opportunity across the Nordic region and the rest of Europe last year – has been pushed to second place among regional banks and fintechs. Double the number of survey respondents feel financial inclusion is critical to the future of their business compared to the rest of Europe. Using a combination of quantitative and qualitative methodologies including 32 in-depth interviews, MagnaCarta and Fintech Mundi polled more than 3,000 senior executives from leading banks, financial institutions and fintech firms between March and May 2018. Full results are found in the study released today.